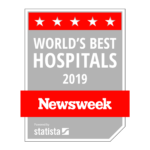 Since opening in 1884, St. Luke’s Hospital has been a leading health care provider in southeastern Massachusetts, providing the highest quality care with compassion and respect. Using teamwork and innovation, we have been continually growing in scope and efficient technologies, meeting the diverse needs of the families of Greater New Bedford. At St. Luke’s Hospital, we offer a wide range of inpatient medical and surgical services, supported by a hospitalist program. The hospitalist program provides state-of-the-art medical care for patients right when they need it with particular expertise in neurosurgery, cardiology, children’s health services, and orthopedic and general surgery. Through advanced technology, we give patients access to many types of diagnostic testing and rehabilitation services that are available on-site and at satellite locations. At St. Luke’s, we’re also committed to working closely with your primary care physician. Once you are admitted, we’ll notify your physician, staying in contact with them while your medical records are collected. Following your discharge, all of your inpatient information will be available to your primary care physician right away. The Emergency Department at St. Luke’s is one of the busiest in Massachusetts, providing high-quality emergency services to local communities.Our emergency facilities in New Bedford provide the highest quality emergency care to our patients in a safe and comfortable environment. We also offer specialized pediatric services, partnering with pediatricians from Boston Children’s Hospital who provide coverage in the emergency room and pediatric unit. Start experiencing better healthcare right in your community! At St. Luke’s Hospital, we take every part of your health into account. Please contact us by calling (508) 997-1515 and take a look at our navigation to the right for directions, parking information and our visiting hours. Southcoast Health is first in state to use latest image guided technology for spinal implants.